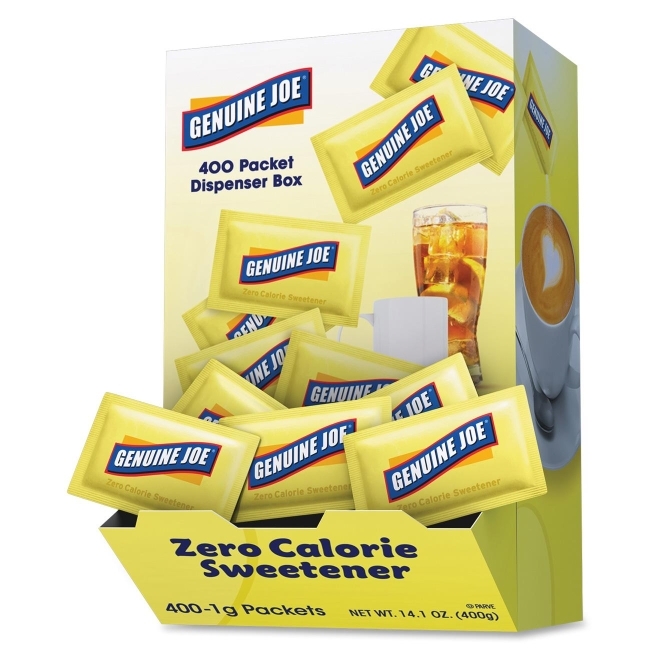 Zero-calorie sweeteners are made with the same ingredients and have the same flavor profile as the national brands. Sweeteners are kosher, gluten-free and sodium-free. They come in packets that each have the sweetness of two teaspoons of sugar. Yellow packets of sucralose come in a convenient dispenser box for easy display.